England and international football, this is a topic that splits the nation just like the channel separates the British Isles from the continent. Of course, every one wants England to do well in major tournaments. The fans, the players and of course the papers who talk up England’s chances of winning each time only to thrash the players and the coach after each failure. So far, so well-known. The dispute or rather the struggle club vs. country is an old one. It began just after the war in the early 1950s, when England for the first time faced the challenge of other teams, that were more skilful and simply playing better than the self-proclaimed masters of the game. Most notably of course, were those defeats against the US in the 1950 World Cup and the crushing defeat against Hungary on home soil in November 1953. 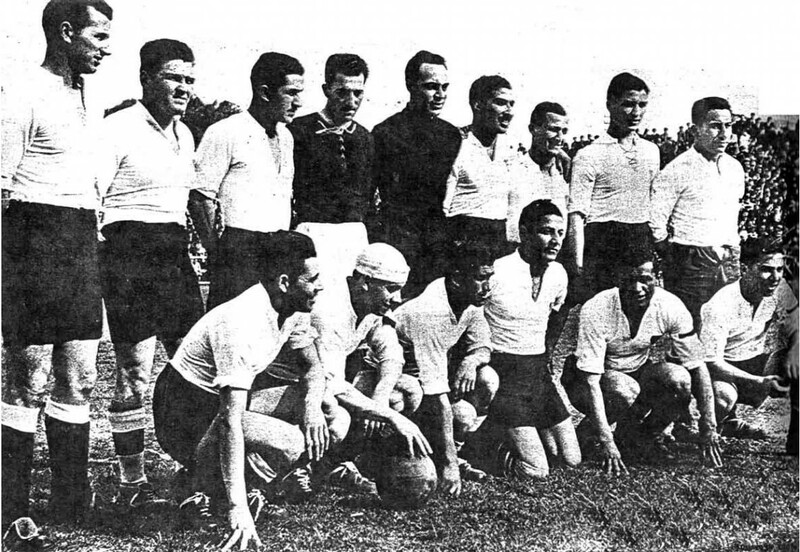 Albeit the former certainly was not considered a top team and the defeat came as a surprise and the result was wrongly printed in English newspapers: instead of a 1-0 defeat, many thought the result was 10-0. After the defeat against Hungary, a certain Alf_Ramsey, who played in defence that day, claimed that Hungary should never have won the match, as they scored three of their goals from outside the box. England’s defensive frailties were exposed for the first time and the defeat certainly deserved. Yet many observers thought the defeat for England has been deserved. However, since the Fifties, there has been a constant suspicion towards European Football and international matches, that has been perpetuated by the press. Suffice to that is the fact that England did only take part in the World Cup in 1950 in Brazil and did not become a member of FIFA just four years before. The Times once stated that the domestic schedule hardly leaves space for international games, not to mention European Cup games, that have been introduced in the 1955/56 season and won by Real Madrid in the first five seasons. After Wolverhampton beat Spartak Moscow in 1954, some journalists described Wolves them as the best team in the world, which in return, as legend has it, made French sports writer and football coach Gabriel Hanot and his colleague at L’Equipe Jaques Ferran work on the introduction of the European Cup. To nurture those claims, Chelsea have been persuaded not to take part in the European Cup after winning their first league championship in the 1954/55 season. Three years later Manchester United lost almost their complete team in the Munich air disaster on 6 February 1958 which also meant that any hope of European glory has been destroyed. It took Sir Matt Busby ten long years to overcome this tragic loss to win an international trophy with Man United. The period between the early 1960s and the mid 1990s saw English football at its peak, with Liverpool, Aston Villa, Nottingham Forest, Man United, West Ham, Tottenham, Man City, Ipswich Town, Arsenal and Chelsea winning European trophies en masse, making England behind Spain and Italy the third force in European football. Certainly since then the persuasive powers of the FA have waned and English clubs have embraced European football on a previously unknown scale. So much so, that a season is classified as a failure by the big clubs just because the gravy train of European football has been missed, be it the Champions League or its smaller sister, the Europa League. From initial reluctance in the 1950s to the 2008 Final between Chelsea and Man Utd in fifty years is quite a remarkable progress. In international tournaments however, this seclusion has lasted longer and seems comparatively difficult to overcome, even more so in recent years. Jim White’s article ahead of England’s game with Denmark summed up the attitude many inside the media have towards international football and friendly games such as those scheduled for February. This has increased after 1966 when, with England having won the World Cup it has become a general assumption that English football was the best. A commentator in the Daily Express wrote of the 1966 final that this was the football England understood: playing forward, fast, hard. Whereas the Latin style of play was seen as skilful but not progressive. English footballing insularity at its best. But the problem is not the style of play, rather the fixture calendar. With three domestic competitions (FA Cup, League Cup and the League) to go for and European commitments for the top clubs players end up with fifty plus games per season, which leaves them in urgent need for a break in the summer. In case there is a tournament, this is impossible and the result are under par performances by star players such as Rooney, Gerard, Terry et al. There is no winter break which most European countries take to have a rest and to recoup, the schedule does not allow one. If it was to be introduced, the fixture congestion in spring would be even worse. What is required is a thorough re-think by all parties involved how this conundrum can be solved. The FA, the Premier League and the clubs must find a way to talk to solve an ongoing problem which is not going to be sat out while having a cup of tea. Options would be to reduce the number of clubs in the Premier League from now twenty to eighteen, which would take four games off the calendar. Not a big number but a step in the right direction. The FA Cup, the oldest football competition of the world, sees the clubs from the top tier of English football entering in the third round, thus adding to the number of games, when it is getting interesting in Europe and when the fate of clubs in the league is decided. Why not have them enter the competition from the off? Certainly the big guns would still go through but the chances of a cup upset are bigger. Just ask Arsenal after their game against Leyton Orient. Dropping one competition would be revolutionary and thus is seen impossible, therefore the changes need to be made on all competitions in order to relief players and the fans bank accounts. Knowing that money is all that matters to the Blazer Brigade, change won’t come quickly, if at all.